Rather than having to dive with a bulky digital camera encased in an underwater housing, this new dive mask has a digital camera built right into it. 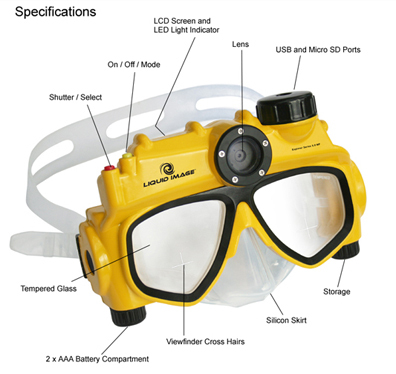 The Liquid Image Digital Underwater Camera Mask records underwater photos and videos hands free by encasing the camera into the dive mask itself. The Consumer Electronics Show in Las Vegas always rings in the new year with breaking news that make gadget geeks foam at the mouth and this year will be no different. Mitsubishi is set to announce at CES their long anticipated ‘Laser TV’ rear projection 1080p HDTV. Using three lasers rather than one, the new Laser TV concept will divide the colors into red, blue and green lasers to display what Mitsubishi claims is 90% of colors visible to the human eye. By contrast, LCD and Plasma TVs only display about 40% of the known color spectrum. The result will make for sharper, more colorful images. 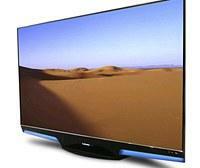 In addition, the new LaserTV technology holds the promise of more lightweight, thin, amd extremely wide-viewing-angles at an affordable price. There is a teeming culture of all things Hello Kitty. I’m not sure when Sanrio created the Hello Kitty franchise back in 1974 that they knew how large of an impact that this seemingly innocent kitty would have on the world. They have products with the Hello Kitty moniker on them ranging from foods and clothing to computers and cars and passenger jets, and in Japan, its popularity has penetrated every aspect of Japanese daily life. In addition, there are many stores selling only Hello Kitty merchandise. The problem with cell phones is that annoying tendency to just not work anymore when dipped in water. Fortunately, some scientists in Britain have come up with a solution. And when I say solution, I mean a liquid that can do something as well as a liquid that can solve your problems. This Ion-Mask is a protective layer that bonds to a mobile device using some plasma, electrically charged gas, and then chemical properties allow oil and water to be repelled. The Ion-Mask was developed at the Defense Science and Technology Laboratory in Porton Down, Wiltshire. Its intended use was not for mobile devices, and was actually developed as a treatment for soldier’s uniforms to repel toxic vapors and liquids like chemical or biological weapons. Even though the Asus Eee is making quite a splash into the laptop marketplace, I’m not certain whether to classify it as a laptop or UMPC. However, there is a new kid in laptop/UMPC market that could give some healthy competition to the Eee. 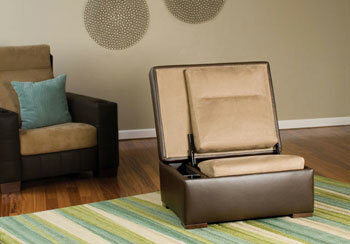 Enter the Noahpad, a new product from a Taiwanese company called E-lead. The E-lead sports some nice workings outside, such as a nice 7 inch screen and dual touch pads. As far as the inside, the Noahpad has Ubuntu 7.10 for running Windows XP, a 1GHz VIA C7 Eden processor (CX700 chipset), 30GB hard drive, plus 512 MB worth of RAM. I’m fortunate enough that I don’t have to worry about a wife that doesn’t like my video games to be sitting with my cable box under the TV. I couldn’t imagine having to go get my Xbox 360 and hook it up every time I wanted to play a game, only to unhook it and put it away some time later. I’d probably spend more time setting it up/removing it than I would actually playing it. However, for those guys (or girls) who have a significant other that isn’t down with your gaming habits, here’s a cool piece of furniture that will gladly hide your gaming goodies.